I thought that Monopoly was the American version of Monopol. I thought that Mother Goose nursery rhymes was the American version of Mother Goose for Jewish Children. And I thought that Oreos were the ersatz version of Hydrox. You see, Oreos weren’t kosher when I was young. At some point, they replaced the always-suspicious sounding “animal shortening” with “beef shortening.” Since there was a dairy byproduct listed, however, the move away from pork didn’t really deal with the kashrut issue. Then the unthinkable happened! 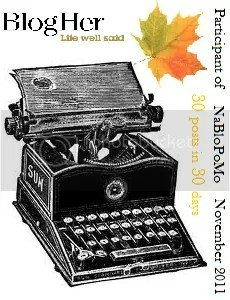 In the late ’90’s, Nabisco changed the recipe and received ksoher certification. The forbidden fruit was no longer verbotten. And though a connection has never been officially confirmed, within just a few short years, Hydrox cookies were discontinued. Good news! As of right now, Hydrox are back on the shelves. In honour of the 100th birthday of Hydrox (which predated Oreos by a good solid four years), Kellogg’s is resurrecting this AWESOME cookie. Baruch Ata Adonai M’chayei HaMeitim. We never kept kosher in my home, so I never had to choose Hydrox cookies over Oreos. Of course, I encountered Hydrox at temple and other places, and my problem was simply this – Hydrox never made a ‘double stuff’ variety. I cannot stand single Oreos. I only like Double Stuff. Ergo, I never enjoyed Hydrox. 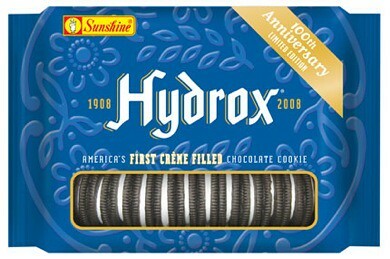 I always liked Hydrox cookies. I don’t like the double stuff, actually. The ratio is off, to my taste. Yay for Hydrox! (Do you remember when Keebler bought them and then renamed them Droxies, but they weren’t good any more? NO, I dont remember Droxies. I really didn’t pay attention to them that closely. As for not liking double stuff – well, I hate to cast aspersions, but doesn’t that make you a communist? Its the ‘stuff’ that makes the cookie. After all, they dont make ‘double cookie’ oreos! They don’t make double cookie Oreos?? Then, and maybe this is just me being weird, but what is the stuffing in between? Wouldn’t a single cookie be a frosted one versus a stuffed one? well, Annette, i meant an oreo with DOUBLE the cookie – in effect, an oreo with FOUR chocolate circles per ‘cookie’ – in an absurd suggestion, but made for effect. In otherwords, people like the STUFF, which ic why they offer a doubleSTUFF oreo. As opposed to an oreo with double the cookie. and from then on, we’ve referred to those lights as “sukkah lights”…. Am I the only person on the planet who, as a child, detested both hydrox and oreo cookies? I also didn’t like PB&J, american cheese, or yellow mustard. Channah, you were a weird kid!